Having come from a super diverse background (I’ve got a little spanish, some french, a little german, a touch of italian, a pinch of polish, and a spoonful of jewish in me) – I naturally appreciate the old ways of slowing down, and enjoying a good cup of coffee. And coffee should always, always be accompanied by a baked good. 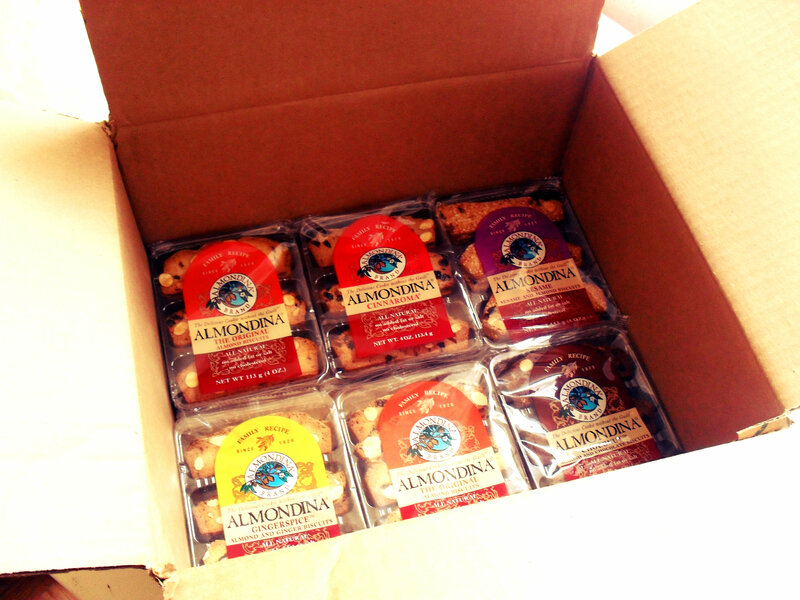 My new favorite baked good (fine, call it an addiction) is Almondina. Almondina all started with the grandmother of internationally known symphony conductor and gourmet chef- Yuval Zaliouk. Long story short- Zaliouks granmother Dina made some really amazing cookies, cookies that her family loved for generations. And though Dina loved her family, she held on to her secret recipe until her last days, finally sharing it with her daughter Ahuda (Zaliouk’s mom). Zaliouk, noticing how grandma Dina’s cookies while delicious, also had some pretty amazing characteristics (like how they have no added fat, cholesterol, or salt)- decided he’d try out gran’s creation on a growing health-conscious consumer base. The people ate them up (and I mean that in a very literal sense). 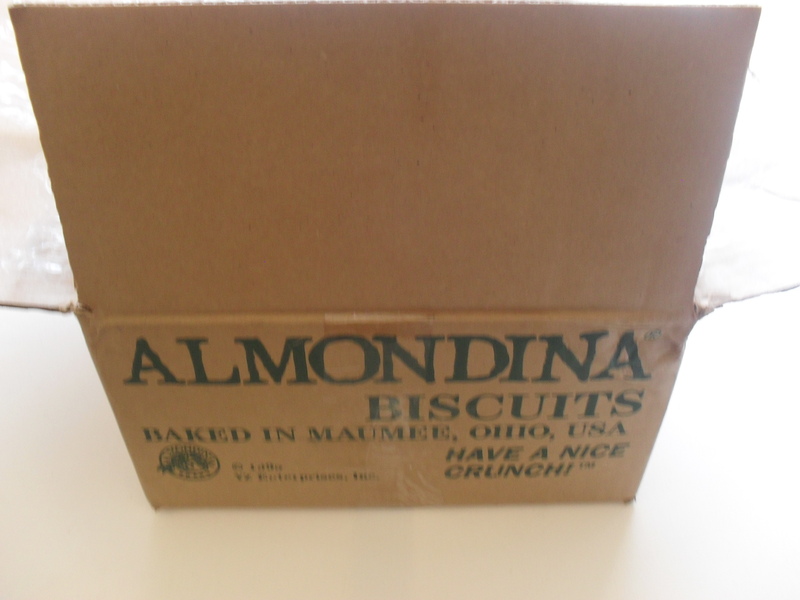 In seven years, the biscuits (renamed Almondina® after Dina, his grandmother), were available in all fifty states, sought after in seven foreign countries, and had brought him recognition as Entrepreneur of the Year. 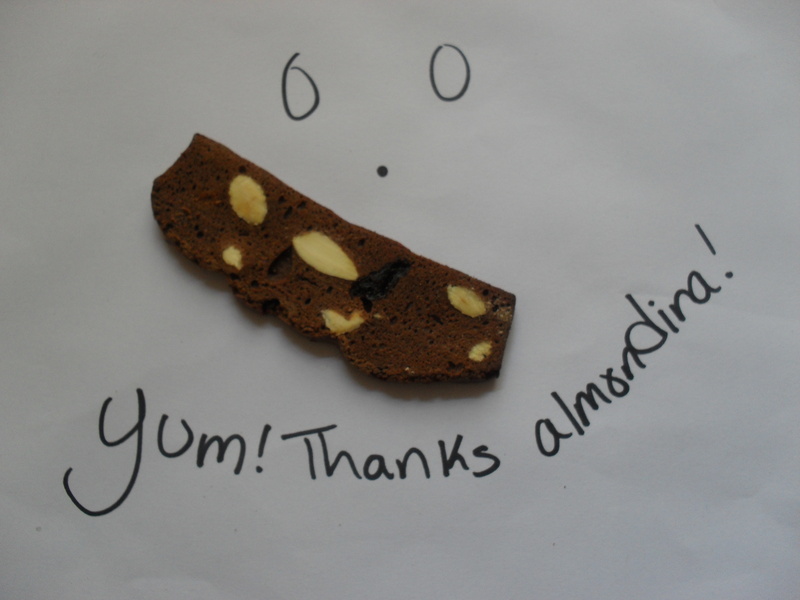 I was lucky enough to get to try each of the eight variations of biscuits that Almondina has to offer. My all time favorite cookie has to be the Chocolate Cherry Almondina- they are SOOOOO good, I was badgered for more by ALL my family members. They’re the perfect kind of sweet, chocolatey, crunchy, and tart mix- in fact, they taste like one of my most favorite doughnuts, just without all the fat and sugar! Of all the biscuits, my favorite one to have with tea (yes, I’m a big tea drinker) is Gingerspice. But my favorite coffee cookie is Choconut- it just goes so well together- you have to try it! It’s like a hug from inside. I’ve completely fallen in love with Almondina- I even added some to a gift basket that I made for a friend (I know she’ll love it)! Almondina is now available at stores like Fairway, Publix, Hy Vee, Giant Eagle, Brookshire, Mollie Stone’s, Hannaford, Jewel, Whole Foods, The Fresh Market, Trader Joes, TJ Maxx, Marshalls and many others. Follow them on facebook, or twitter, and check out their entire line as well as family history on their website here. *The product for this review was provided to me at the cost of the manufacturer, or PR agency for product review and testing. I did not receive monetary compensation. 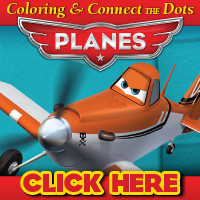 All reviews on this site are always honest, all opinions expressed are my own. I love the huge variety of flavors! These sound so super fantastic! Can’t wait to run out and buy some. They sure sound good! 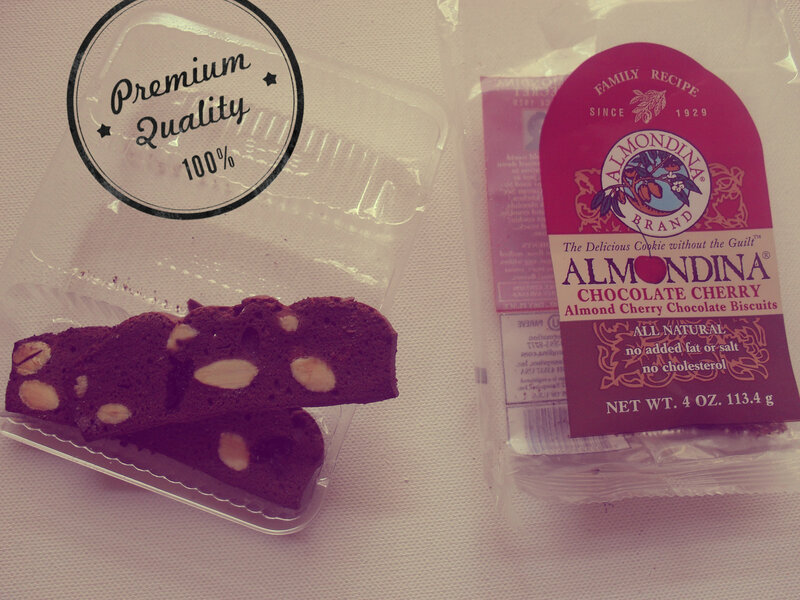 We love almond here. Choco Cherry sounds delicious and so do the chocolate dipped and yogurt dipped. I’ll be on the lookout for these at my local stores. Yum! kristiedonelson(at)gmail(dot)com Thank you.